I love this easy-to-make, customizable Essential Oil Room Spray and Air Freshener recipe. Although I give example essential oil blends below, you can easily adapt this recipe for use with your favorite essential oils. Be sure to learn about and pay attention to all safety data for the essential oils that you use. 30-40 drops of your favorite essential oil or essential oil blend keeping the safety data of the chosen essential oil(s) in mind. Combine the essential oils with the solubilizer following the usage instructions provided by the vendor/manufacturer. Then, add to the bottle that contains the water. Essential oils can very in strength. You may want to try 20 drops at first especially if you live in a household with someone who is sensitive to strong aromas. After you first make and try the spray, let it sit for about a day before making a conclusion that the aroma is too weak; the aroma can change after the air freshener has had time to sit and the essential oils have had a chance to "marry." Be careful to not overfill your sprayer bottles. It not only is important to ensure that you have room for the spray to be shaken well, it also ensures that the air freshener doesn't stay in contact with the rubber gasket contained in the sprayer mechanism. I've rarely had a problem with my sprayers failing to work, and I've been trying to figure out why some people, using the same type of sprayer, sometimes state that they've had consistent problems with the sprayer failing to work after only a short time. After thinking on it, I'm suspecting the likely culprits are (a)overfilling the bottles, not using a solubilizer and (b) not shaking well immediately before each use. Shake the bottle immediately before each use. Spray lightly in the room. Be especially careful not to allow the air freshener mist fall onto furniture or into open beverages. 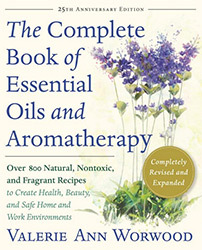 Although most essential oils are anti-microbial, they are not potent enough to preserve a water-based room spray. This room spray is intended to be used up within 1-2 weeks.